Big Data Hadoop training will make you an expert in HDFS, MapReduce, Hbase, Hive, Pig Yarn, Oazie, flume and sqoop using real time use cases on Retail, Social Media, Aviation, Tourism, Finance Domain. It equips you with in depth knowledge of writing codes using MapReduce framework and managing Large Data Sets with HBase. The Topics Covered in this course mainly includes-Hive, Pig and setup of Hadoop Cluster. 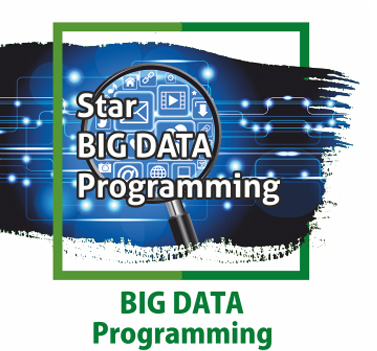 Star Certified – Big Data Developer assumes that the Learner is a Working Software Professional, or someone with Programming experience, wanting to understand the complexities of Big Data Development. About Hadoop and its eco-system. How to create program for Hadoop. How to create Map Reduce application. How to interact with related technologies – Spark, Sqoop. Pig. Hive. Ozie etc. About the complexities of commercial distribution systems of Hadoop. About the various practical aspects of installing and working with Hadoop. Understand the finer nuances of Big Data technology, and have answers to a lot of related questions. You will also be comfortable in dealing with Big Data related tools, platforms, and their architecture to store, program, process, and manage the data. 1. Introducing Data and Big Data. 2. Identifying the Business Applications of Big Data. 3. Big Data and Hadoop. 5. Exploring HDFS: Storing Data. Part 3: Programming for Map Reduce. 7. Developing a first Application for Map Reduce. 8. Exploring the working of Map Reduce Process. 9. Exploring Additional Features of Map Reduce. Part 4: Exploring Related Technologies. 10. Exploring Avro – data serialization system. 11. Exploring Parquet – columnar storage format. 12. Exploring Flume – service for streaming event data. 13. Exploring Sqoop – transferring bulk data. 14. Exploring Pig – analyzing large data. 15. Exploring Hive – data warehouse. 16. Exploring Oozie – workflow scheduler. 17. Exploring Crunch -joining and data aggregation. 18. Exploring Spark and Scala. 19. Exploring Base — big data store. 20. Exploring Zoo Keeper – coordination service for distributed applications. 22. Machine Learning with Mahout. 25. Exploring Apache Drill and Google Big Query. 26. Exploring Cloudera27. Exploring Horton works. 30. Exploring IBM info Sphere (Hadoop-) Relational Databases). 31. Exploring Hadoop and AWS. Any Graduate professionals with knowledge in Java programming background are eligible for learning Big Data Hadoop Training. A basic knowledge of any programming language like Java, C or Python and Linux is always an added advantage and also strong knowledge on Concepts of OOPs.